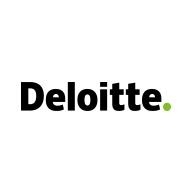 If you're interested in working on mission-critical solutions, join Deloitte - Forbes’ #1 ranked Management Consulting Firm! Our USDC has hired over 900 technical professionals since 2014.Significant growth in our implementation and managed service practices will call for over 500 client service positions in the next 5 years. Supports a collaborative team culture where we work and live close to home with limited travel. As a Senior Solution Engineer in the Human Capital Consulting Organization Transformation & Talent practice, you’ll act as a strategic advisor to clients and assist them with the communications and training material design, development and delivery necessary to successfully implement and adopt new technologies or business process changes. Learn more about the US Delivery Center.